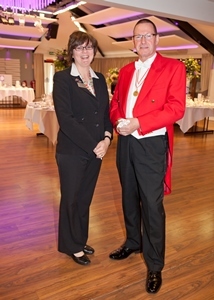 Once again it has been a fairly busy month with a variety of events as toastmaster and town crier, as well as my usual shifts at the Holiday Inn Norwich-North, and delivering flowers for Margaret Emms Florist. 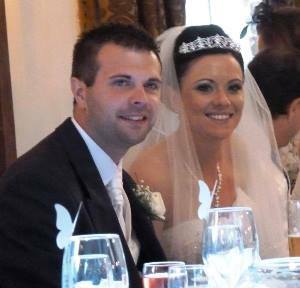 The month got off to a good start with dry weather (rain had been forecast) for Emily & Steven’s wedding celebrations. Following the ceremony at Bawdeswell Church, a bus ferried the majority of guests to the moated Elsing Hall. 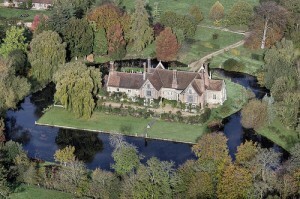 This venue is privately owned and they only hold a couple of weddings a year in the beautiful grounds. 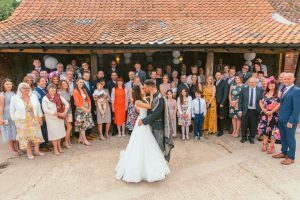 The wedding guests are allowed over the moat for a group photograph at the back of the house, but then it’s drinks and canapés in the walled garden followed by the wedding breakfast in the marquee. While Craig Jacob took some photographs and guests enjoyed their drinks, entertainment was provided by ‘Miserable Man’. Don’t ask me how he came up with that name but his singing and guitar playing was anything but miserable. He was really good. A wonderful meal was catered for by chef Tristan and his team from Julie Abbs Catering. In the evening, more guests arrived and I led the customary, cake cutting, throwing of the bouquet (the lady who was meant to catch it did so) and of course the first dance. This was Adele singing ‘Make you feel my love’. No guest book for Emily & Steven, but each guest found a pebble in their place setting which they were asked to sign. 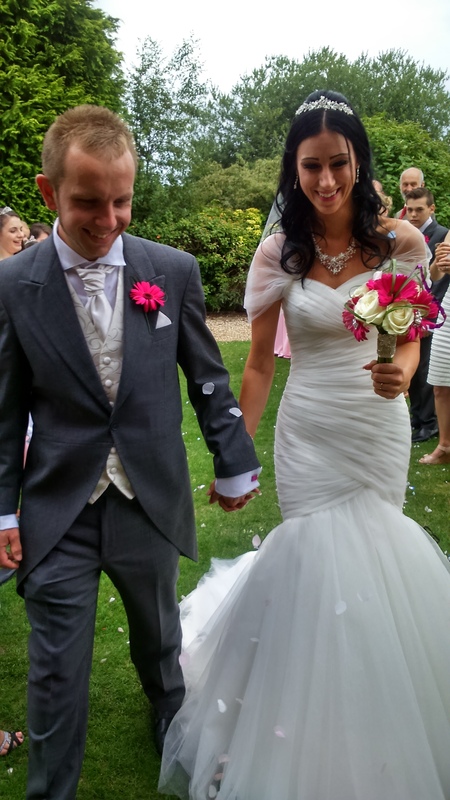 It was a beautiful day and I really enjoyed serving such a lovely couple together with their families and friends. The following week I spent an evening with Charlotte and David as we went over plans for their wedding in November at Chaucer Barn, and then finished my preparation for Jarnan & Amanda’s wedding on the 12th at the Oaklands Hotel in Norwich. Arriving from the church the guests enjoyed the customary drinks on the lawn and also had the opportunity to play some garden games as well. 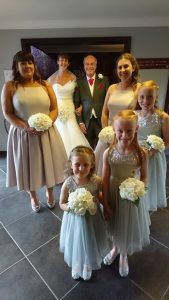 Although there was another wedding being held at the venue, the guests never clashed and we enjoyed another very warm day. It was good to work again with Richard and his team at the Oakland’s and I had the pleasure of joining guests for and excellent main course and dessert. Amanda & Jarnan had been taking dance lessons at Dance Devotion so it was nice to see a couple do more than just smooch around the dance floor for their first dance as husband and wife. Well done you two for taking the time and effort to show how it should be done. 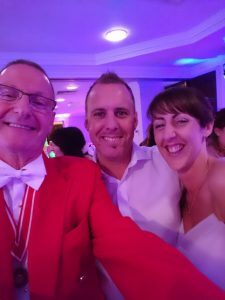 The following day (Sunday 13th) I joined many other exhibitors at the Holiday Inn Norwich-North for a Summer Wedding Show. I met Nicole and her team from Alba Rose, a diamond jewellery company that will be opening a new shop in Chapelfield Shopping Centre on August 22nd. They have since booked me in my role as Town Crier to help raise the profile of the new shop on that day and also when they have their official opening in September. On the 16th it was a pleasure to be part of ‘Lunch on the Green’ once again. This annual event held in the grounds of Clapham & Collinge on All Saints Green is co-organised by Best of Norwich. Many companies have displays and money is raised on behalf of the Break Charity. The sun shone yet again and one or two glasses of wine were downed. Thankfully, ice cream was also supplied thanks to Norfolk Farmhouse Ice cream. Next up was a day at the Zest Rooms for Carlie and Chay’s wedding. This was a long day as it included ceremony, wedding breakfast and up to first dance in the evening. ActualIy, I do love to do the whole occasion, as it’s a privilege to be part of the Bride and Bridegroom’s special day. Paul Peek did a brilliant job once again taking the photographs, and it was also good to catch up with Victoria Westgatge the wedding organiser at Elms Barn. 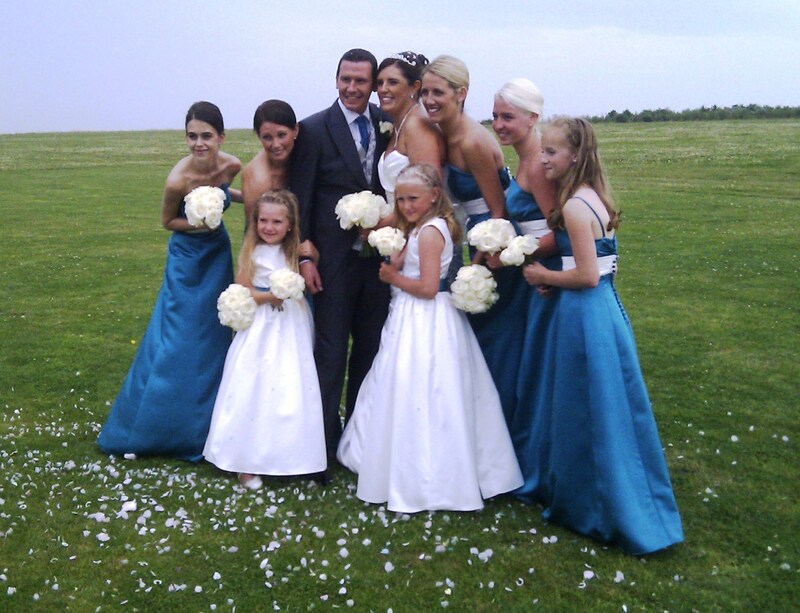 On this occasion Victoria played the important role of Chief Bridesmaid. We had fun throwing the bouquet again before Carlie & Chay started the party with their first dance together, ‘Wonderful Tonight’ by Eric Clapton. Jill and the team at Zest really do an excellent job and we work well together making sure everything runs smoothly both front of house and behind the scenes. The couple and guests are able to relax and really enjoy the special occasion. 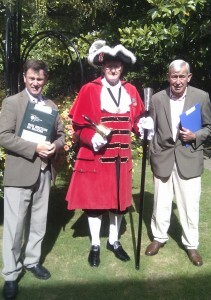 I took a late booking at the end of the month in my role as town crier. 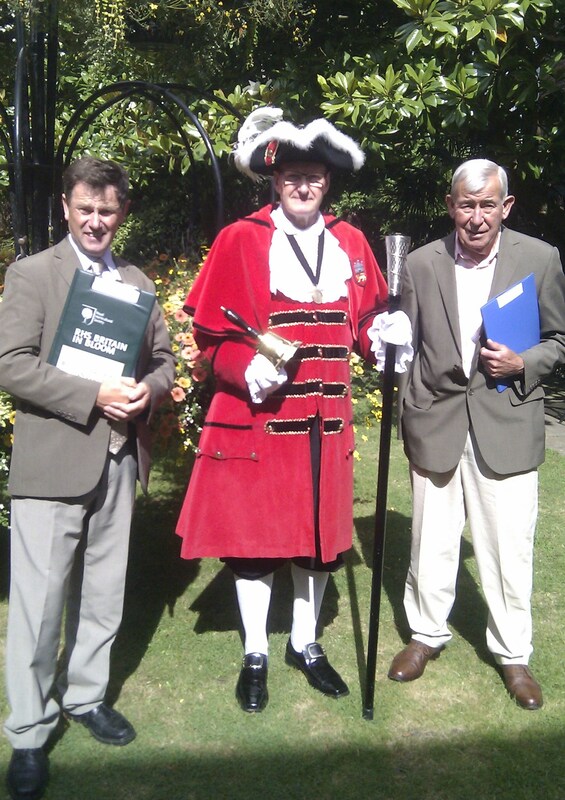 I was contacted by Norwich in Bloom and asked to welcome the judges for ‘Britain in Bloom’ when they arrived at the Assembly House in Norwich. After posing for pictures we viewed a video of the work that the Norwich in Bloom volunteers have been doing, and then I accompanied the judges on their first few views, taking in the Assembly House, City Hall and St. Stephen’s Church. So ends a pretty sunny July. August has started out fairly warm as well, but I have a feeling it’s not going to last! See you next month.